Fast Sales Training Center was established in 2006 by experienced professionals who have been in the auto sales industry for over 35 years. All those years have taught us one thing: training was the most important tool in the auto sales industry for the autosales professionals who seek to better their ability to achieve their goals and to be more successful in the daily tasks and objections that this exciting career offers. We offer some amazing teaching techniques that make our candidates very successful and stand above all other candidates for the position desired and deserved. Our training has a coaching style and a fine-tuned energy which carries over, our candidates, converting them into aggressive but yet charismatic, and well-trained machine with full of enthusiasm and drive. We feel confident about our detailed online courses and e-books which we prepared for our candidates to have the advantage over this economy’s competitive-job market. 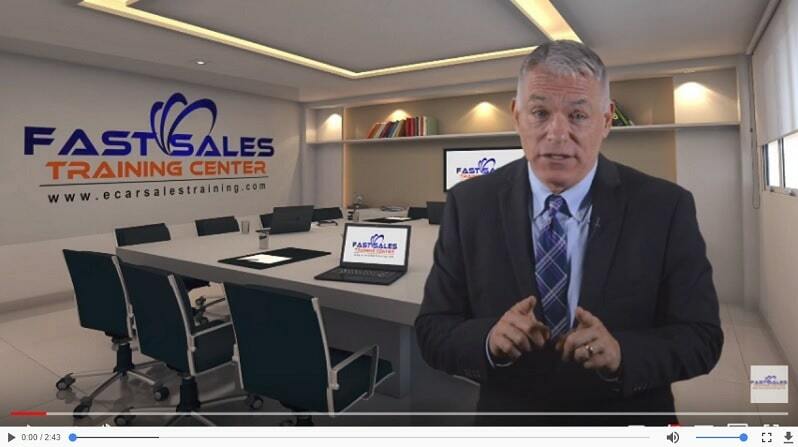 The highly-marketable training acquired through our online courses is not only useful for Auto Sales but is a tremendous asset to those in any and all services and product related fields including both blue and white-collar jobs and professions.